Inside a “Squero”, where the shape of the gondola begins. 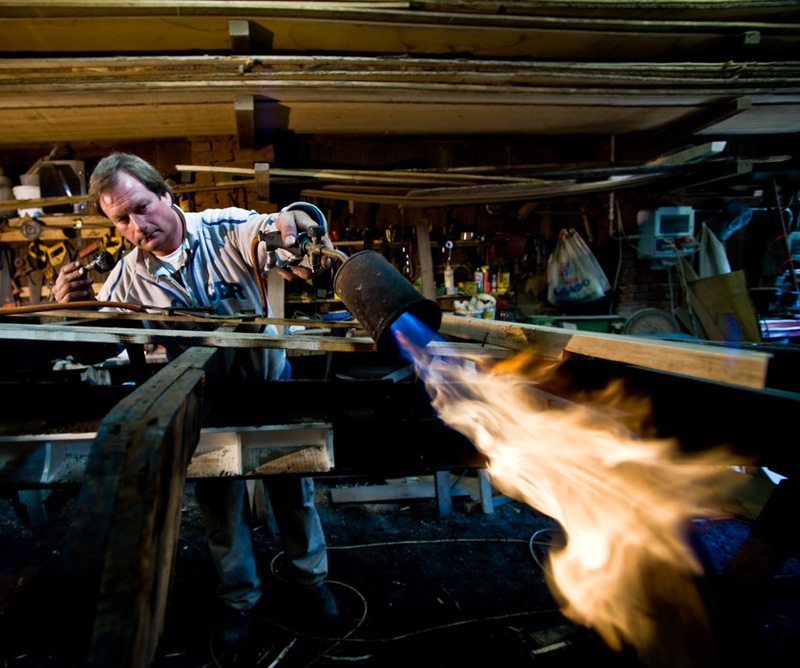 The “Squerariòli” are the carpenters specialized in the construction of wooden boats, including the gondola. In Venetian vocabulary “Squéro” is the workshop where small wooden boats are made. The incredible workshop of the Battioro in Venice. The "Battiloro" handicraft originates from those eastern lands which were birthplace of ancient civilisations. Since centuries, in Venice the golden leaves were used for the production of the mosaic tiles, in glass decoration and restoration of the frescoes. 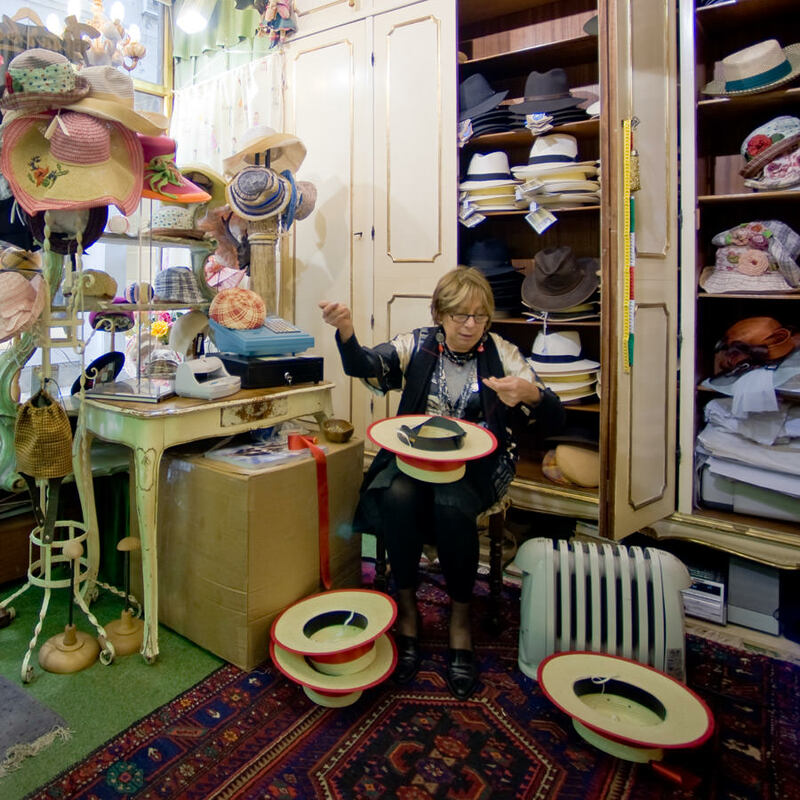 The “sartòri” are the tailors who are in charge of the gondolier’s dressing. Although the typical striped sweater is today a ready-made item, the “marinara”, a sailor-like jacket that goes on the top, is often commissioned to the local artisans “sartòri”. The workshop (and shop) of a "Baretèr"
A nice little shop not far from the Rialto’s bridge, near which we often pass during a Photo Tour, hides inside an ancient art: the “baretèr”. The "Remér" working on a "forcola"
During my photo tours in Venice, sometimes we stop inside a the workshop of a "Remér". The “forcola”, the oarlock on which the oar presses and bends, stops and brakes with a versatility that no other craft possesses. The “Remér” brings out from the wood oars and oarlocks forms: bare and smooth the shape of oar, strong plastic that of the oarlock. The making of the decorations which give character to the gondola. The “intagiadori” are the engravers of the parts of the gondola that can be carved. They work in the finishing and decorating phase. From the “barca lissa” (plain boat), on which only the “trasto” (thwart) is decorated, to the “barca de lusso” (luxury boat). 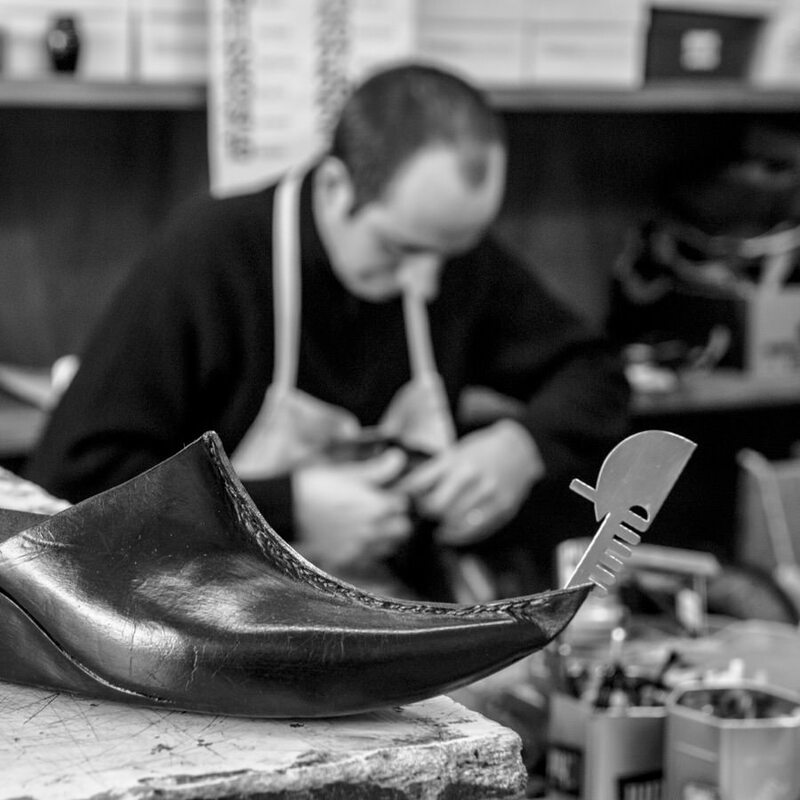 The “calegheri” are the shoemakers who make special shoes for gondoliers. 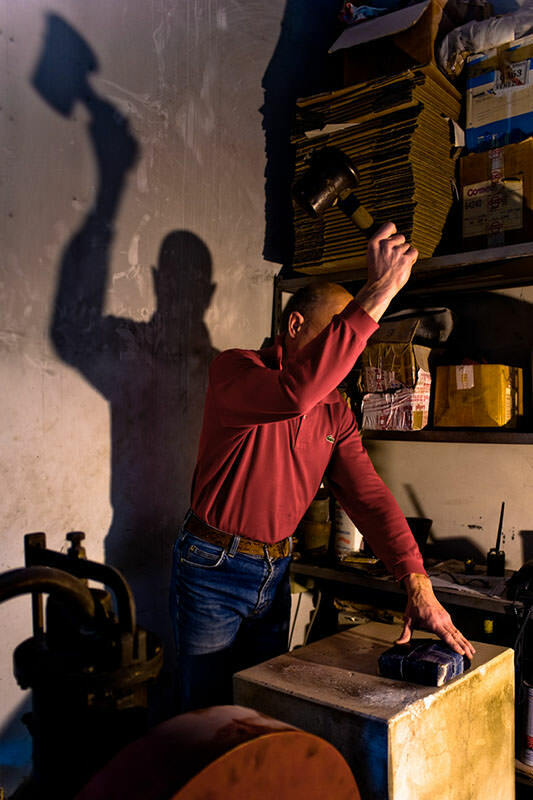 The Art of the “caleghéri” – an ancient Venetian tradition – has resisted the dominance of mass production in a few workshops in the city that have maintained ancient techniques and specialise in prestigious or functional footwear. The “tapessièri” are the upholsterers who prepare the “passenger area” of the gondola. The "Fravo" making the "ferro di prua"
The very rare photos of a blacksmith making the metal piece at the bow of the gondola! The „Fravi“ are the blacksmiths who make the „ferro“ (the decorative metal piece at the bow of he gondola). In medieval Venice the „fravi“ played a decisive role in that they were the makers oft he tools used by almost all the others craftsmen. The « Indoradòri » apply the gold leaf to the ornamental parts of the gondola. They work in the finishing and decoration phase together with the “Intagiadòri”.